Iowa Gordon Setter Rescue View other Gordon Setters for adoption. Angie has had a rough start in that she came in very thin, with several tumors and with urinary problems. She has now had all the tumors removed and has healed from that surgery. The urinary 'leakage' issue is being cleared up with a medication called Prion. She was checked for kidney malfunctioning and the tests were negative. Angie is still moving about a bit slowly as she is still weak from having been so thin. Slowly she is gaining weight but currently still underweight. Angie is very loving and friendly, almost clingy. She desperately wants to be loved and cherished and she should be. She is a wonderful girl that is happy to be in a person's presence. She is gentle and a joy to be around. True to her breed she is extremely loyal. Angie needs a home that is willing to work with her thin physical state and continue to keep building up her weight so she will be healthy again. 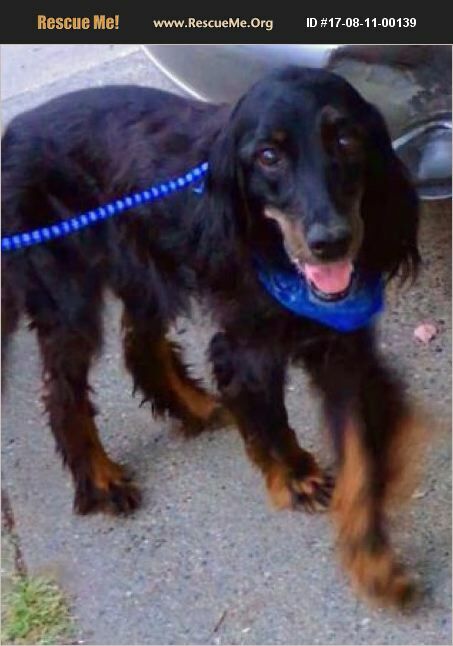 Angie is a 7 year old Gordon Setter. She came to us after being a stray. Angie's adoption fee is $200.00. She can be adopted at http://www.secondchancedogrescueofiowa.com/adoption-app.html Thank you!